Rock Hill, South Carolina – A Muslim woman wearing a hijab was escorted out of Donald Trump’s campaign event on Friday by police after she stood up in silent protest during Trump’s speech. 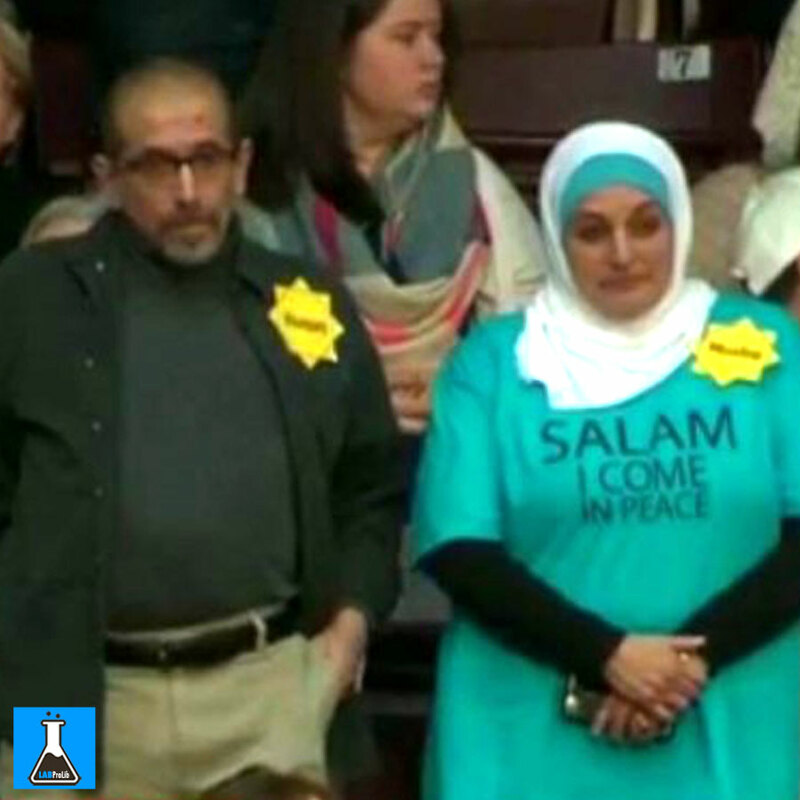 Wearing yellow stars resembling the patch forced on Jews during the Holocaust, a Muslim man and woman are removed from a Donald Trump rally in South Carolina. abc7.la/1MYrb2XThe couple is escorted out after standing in silent protest as Trump suggests refugees fleeing war in Syria are ISIS affiliated.